NADRA Jobs 2019 in Karachi For Junior Executive. NADRA Jobs are announced in karachi 2019.National Database and Registration Authority (NADRA) jobs in karachi 2019. Maximum age limits is 30 Years. 1) Submit the applications along with CV without any documents to the following address given below. 2) Candidates should mentioned clearly the name of position applied. 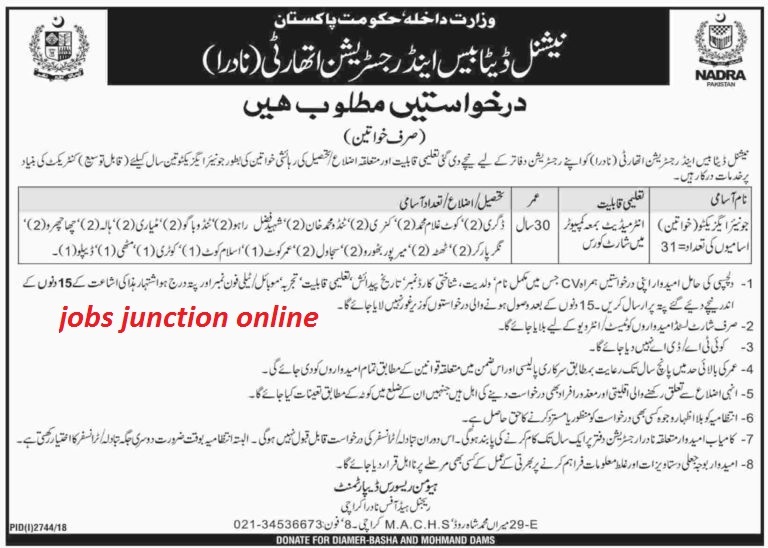 3th January 2019 is last date for nadra job in Karachi.